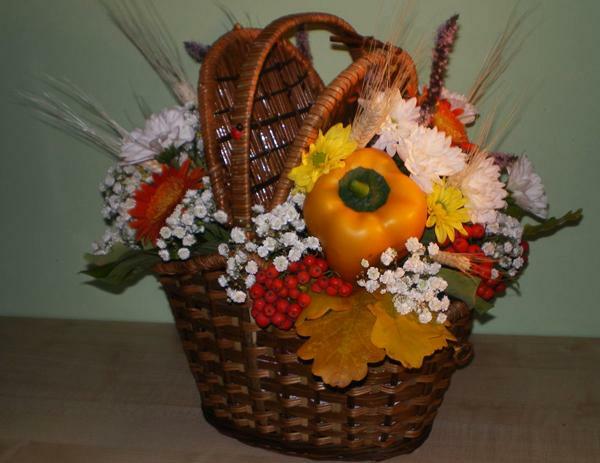 Fall flower arrangements make wonderful Thanksgiving table centerpieces and can be used for all special occasions in fall. 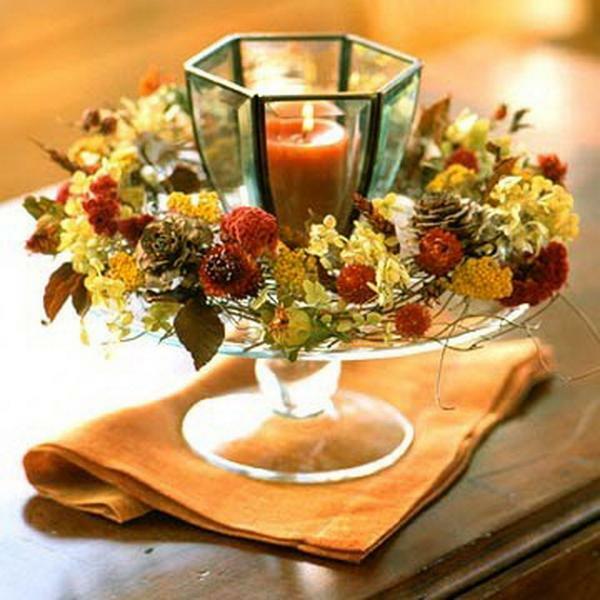 Traditional Thanksgiving table centerpieces include turkey and autumn leaves, fall flowers and candles which create warm and festive fall decorating. 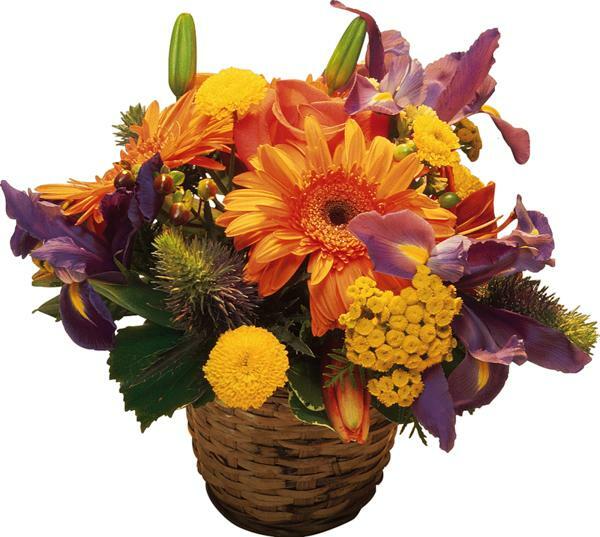 Fall flowers add beautiful textures, aroma and bright colors to rustic and earthy tones of autumn leaves. 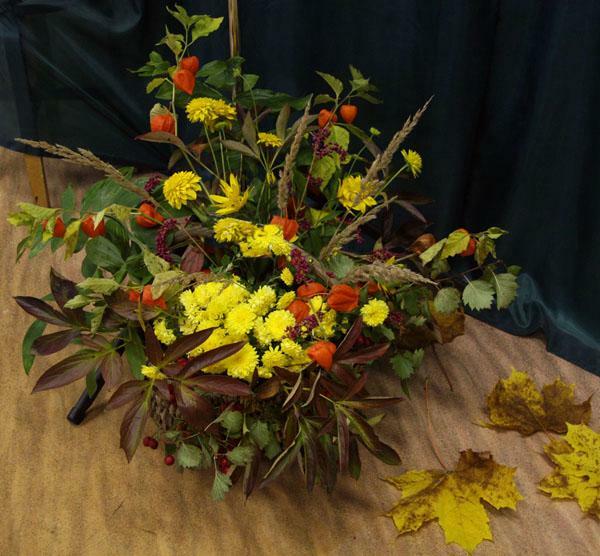 Fall flower arrangements with red, orange, yellow and purple flowers are perfect Thanksgiving centerpiece ideas that look fresh and very inviting. 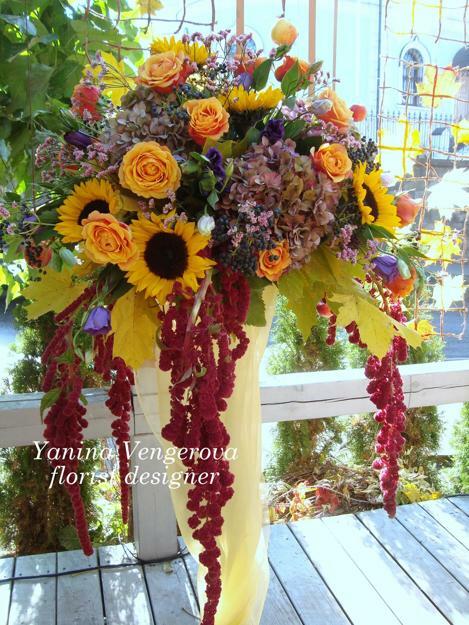 Creative fall flower arrangements do not need to look like traditional fall flower bouquets. 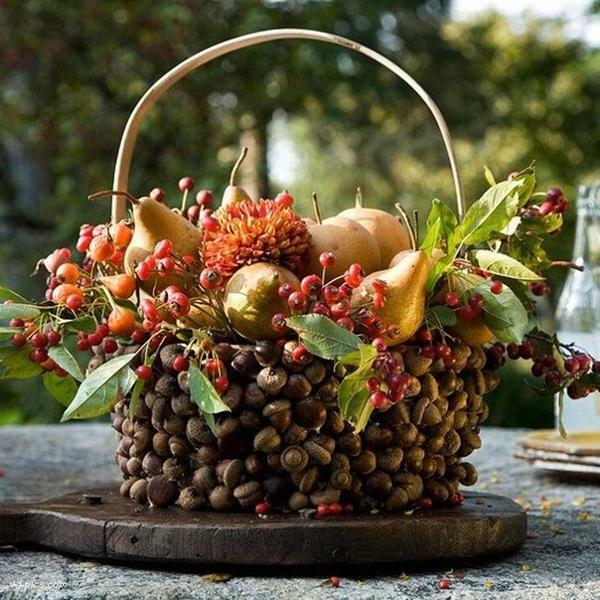 You can add unusual details and make your Thanksgiving table centerpiece be different and surprising, adding bold splashes of color, unusual texture combinations to any of your floral arrangements and table decorations. 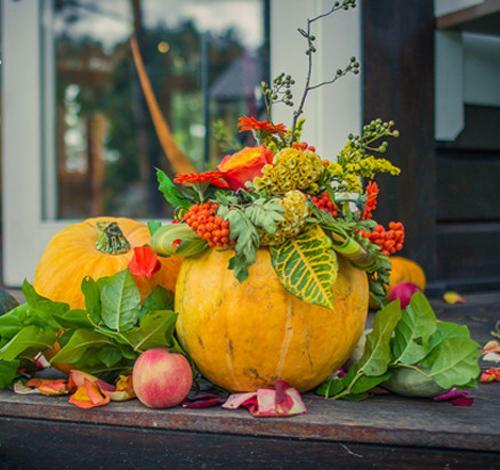 Thanksgiving decorating is about fun, celebration, delicious food, cozy homes and family. 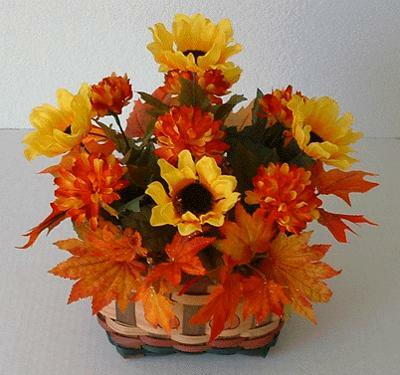 Setting the stage for family dinner with fall flowers create more joy and happiness in your home. 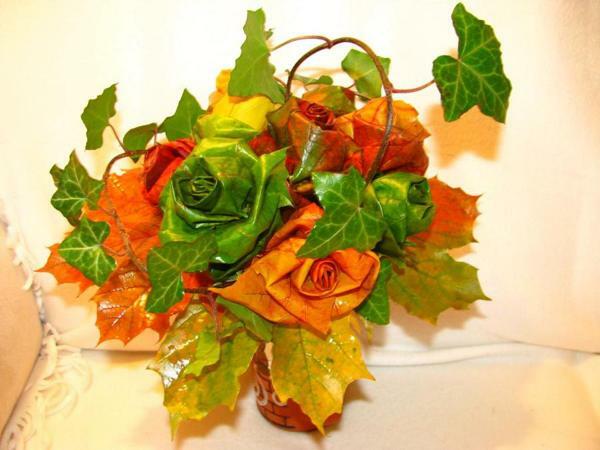 Floral arrangements and handmade table decorations created with fall leaves are inexpensive and super easy Thanksgiving decorating ideas. The dining room is the focus of any Thanksgiving decorating. 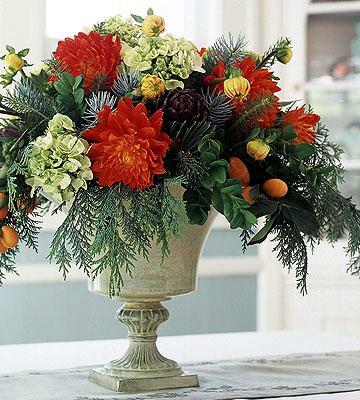 Add a floral arrangement created with colorful fall flowers and leaves, to make your holiday tables look impressive and elegant. 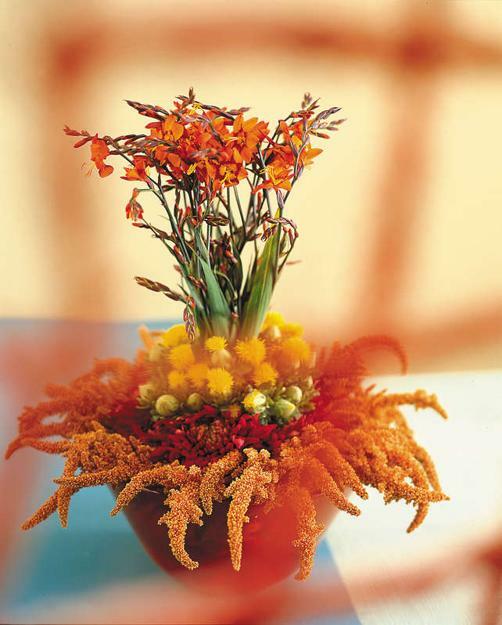 Bright fall flower arrangements are unique and versatile table decorations that are suitable for any room decor style or color scheme, and they are so beautiful that your guests will never forget these gorgeous and special touches. 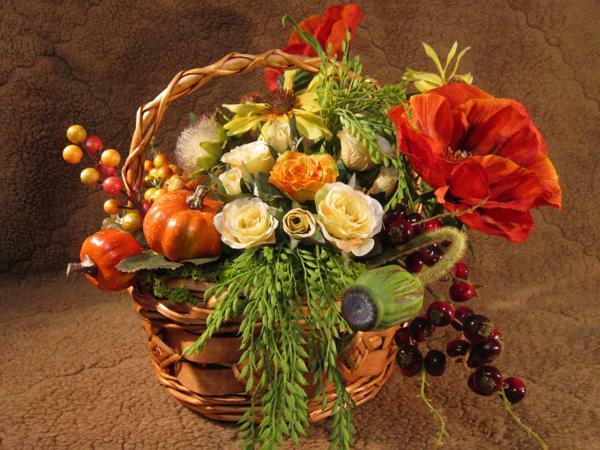 Here is a collection of fabulous fall flower arrangements, fall decorations and Thanksgiving table centerpieces. 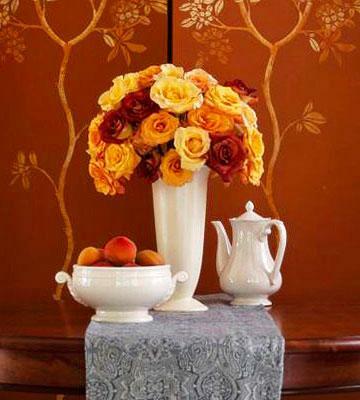 Still the look or design your own beautiful accents inspired by the fall season. 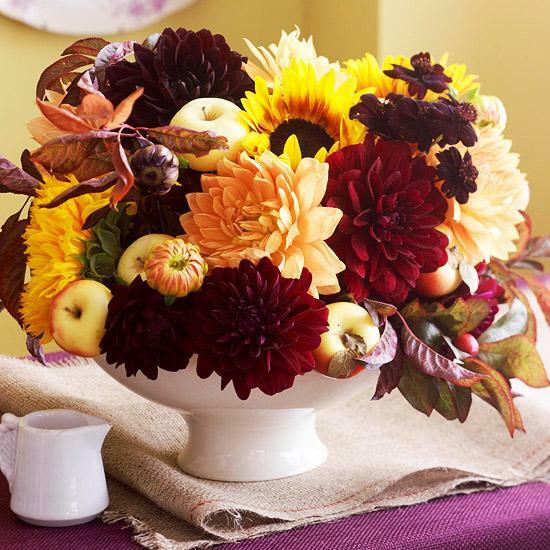 Fill your kitchen and dining room with the scents of fall, add floral arrangements and apple or cinnamon candles. 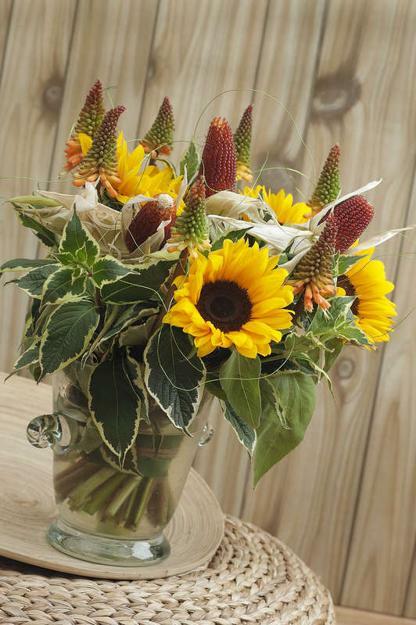 The scent and look of these amazing table centerpieces will waft through the house and remind everyone of Thanksgiving meals and treats. 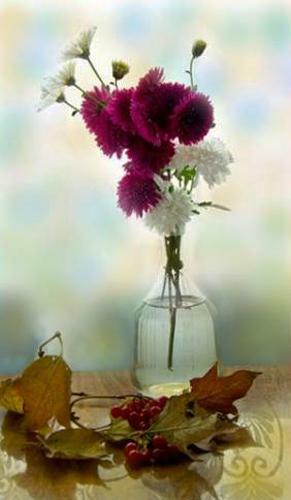 Place your freshly cut mums in a vase at the center of the table. 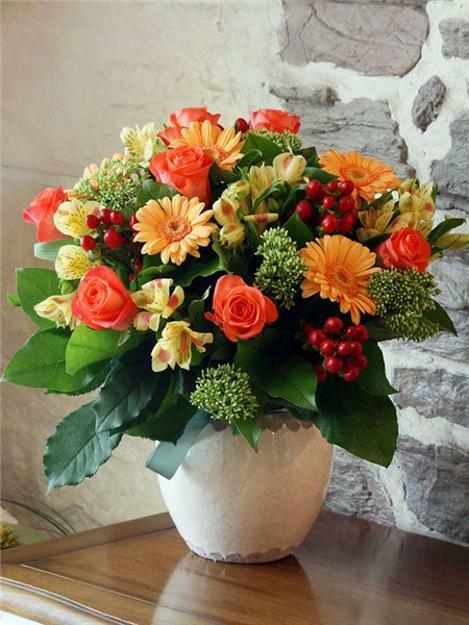 Then surround the vase with candles and watch your floral table centerpiece sparkle. 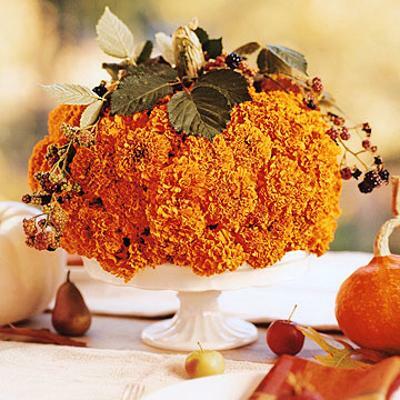 Hollowed out pumpkin and place it in the center of your table. 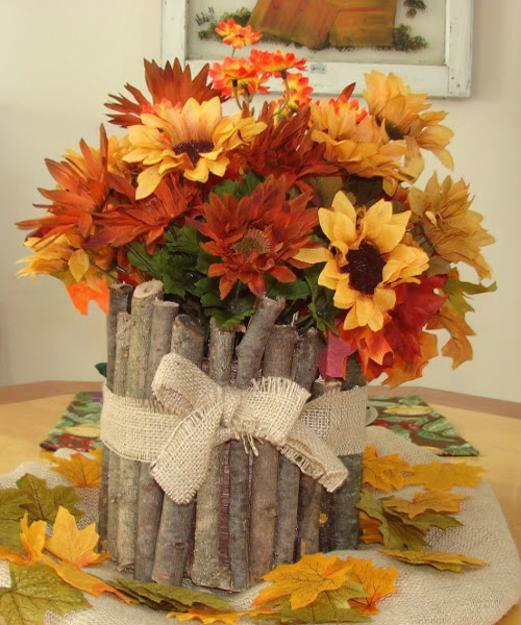 Insert a few fall leaves and flowers into the pot and add a few more autumn leaves around the table. 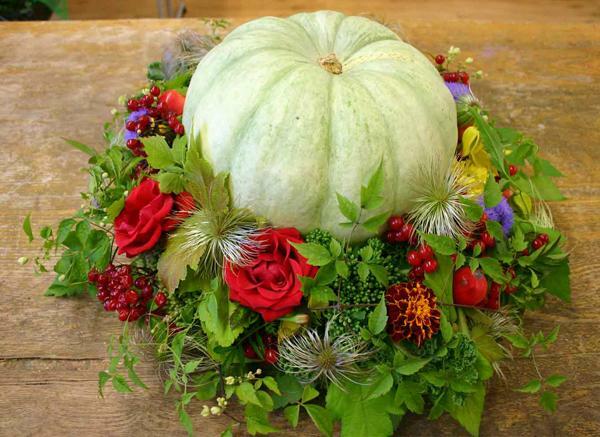 Hollow out a large pumpkin and place in the center of the table with the medium pumpkins on either side. 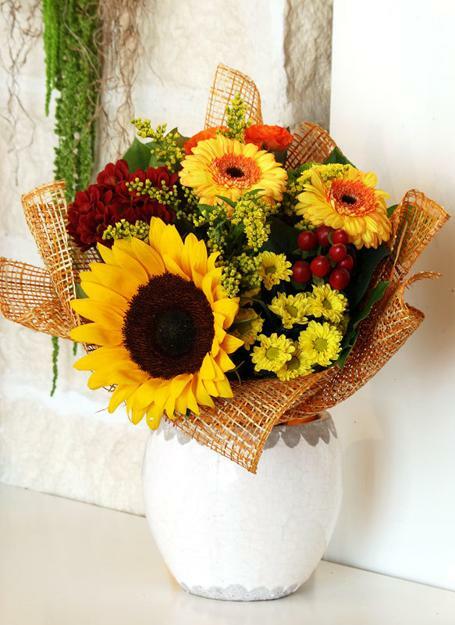 Add sunflowers and mums in different beautiful colors at varied lengths and place them inside the hollowed pumpkin. 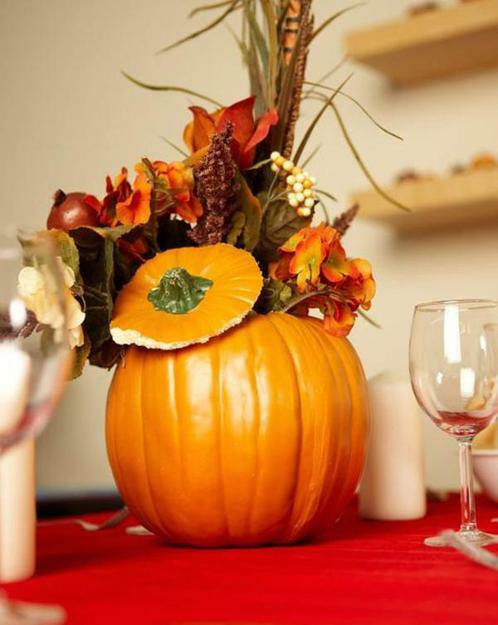 Decorate your Thanksgiving table centerpiece with candles and fall leaves or green branches with berries. 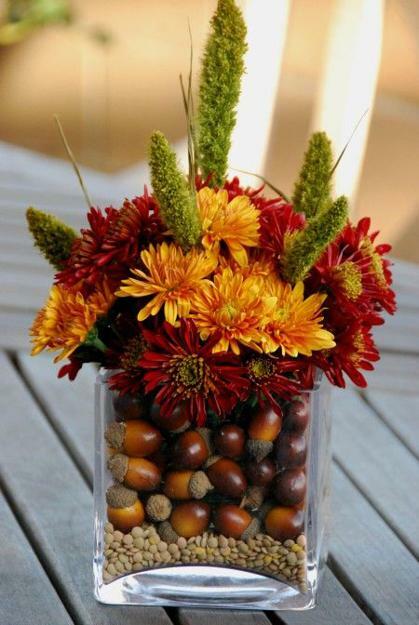 Add acorns to your holiday table decoration to make it look surprising and artistic. 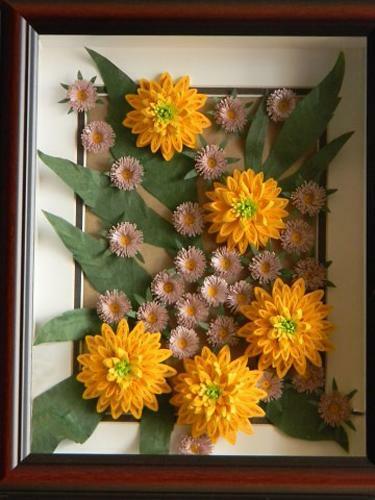 If you have a fireplace, decorate it with a floral arrangements. 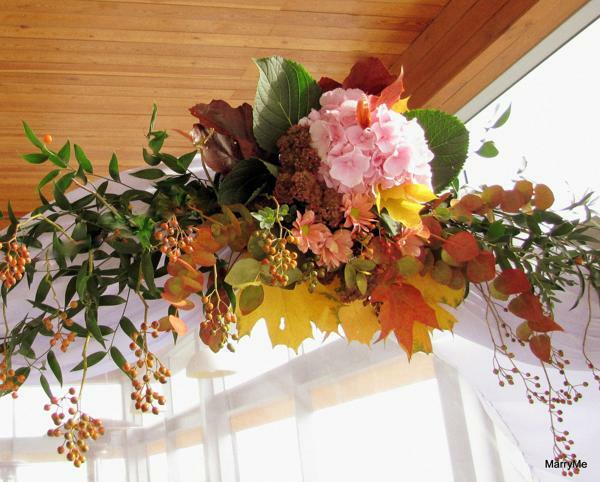 Bringing fall colors and strings of leaves into your living room decor creates gorgeous look, especially when your highlight your fall decorations with LED lights.